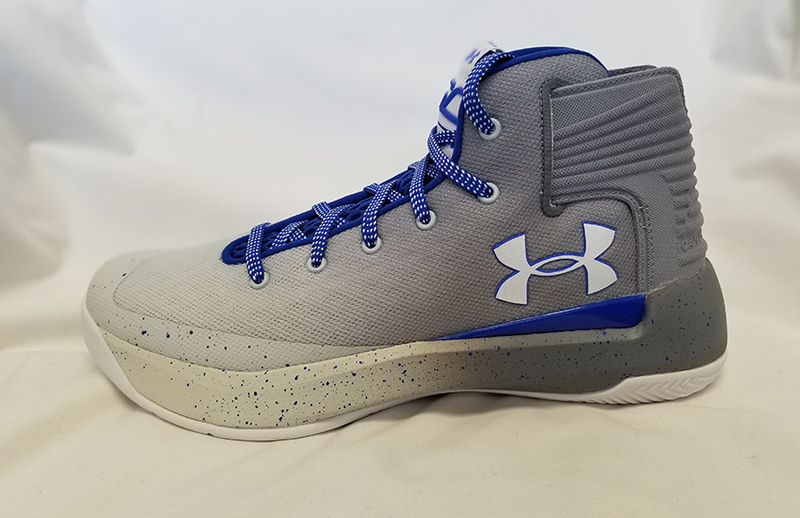 This postseason, rather than outfitting Stephen Curry with a “.5” version of his signature shoe, Under Armour and Curry collaborated on a new team model in the form of the UA SC 3Zero. 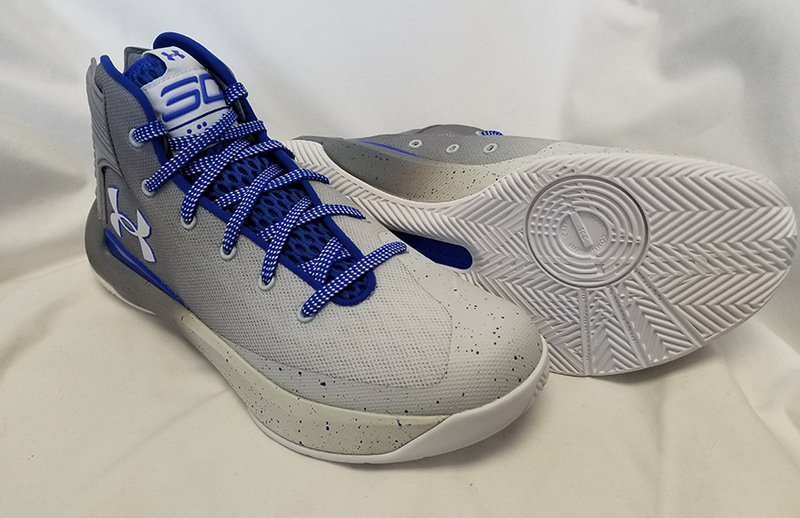 Not quite a new shoe, the 3Zero is in many ways still a “.5” version of the Curry 3. According to the Curry 3Zero designer Kort Neumann, the 3Zero is a more “streamlined” version of the Curry 3 meant to be faster and lighter for the postseason battles. Curry wore the 3Zero exclusively throughout the West playoffs before turning heads with a sneak peek of the Curry 4 in the grand stage of the Finals. After the shiny new unveil of the latest shoe while winning his second championship, Curry might’ve relegated the aforementioned 3Zero an afterthought, but should it be? The 3Zero uses the exact same outsole as the Curry 3, a multidirectional herringbone pattern with a pivot point on the forefoot. There is some storytelling in the form of some words (TCC: standing for Trust, Commitment and Care, which is also tattooed on Curry’s wrist) and a call-out to the Golden Gate Bridge on the pivot point that doesn’t get in the way of performance. The herringbone is a dependable and time-tested setup. The lone quibble is the shallow pattern of the herringbone that might affect durability. 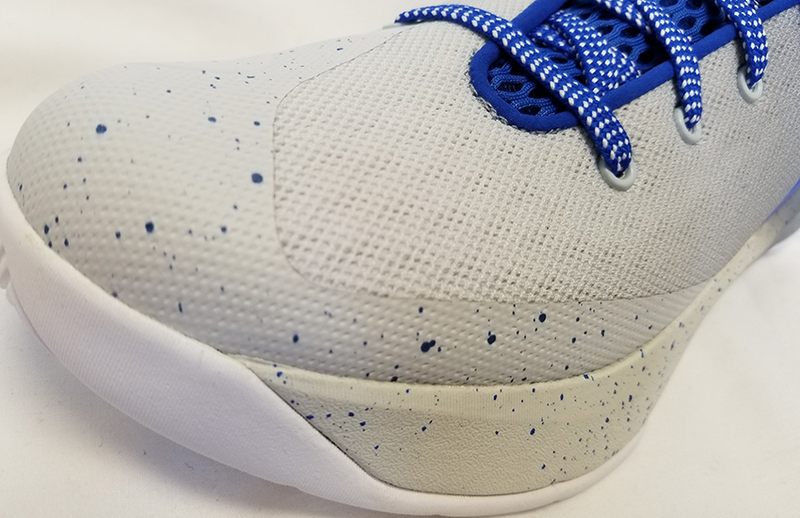 Traction performance on clean floors is excellent but when dust is present, the shoe requires wiping to keep the outsole tacky, especially given the shallow treads. This is one of the areas of the shoe that is a departure from the stock Curry 3. 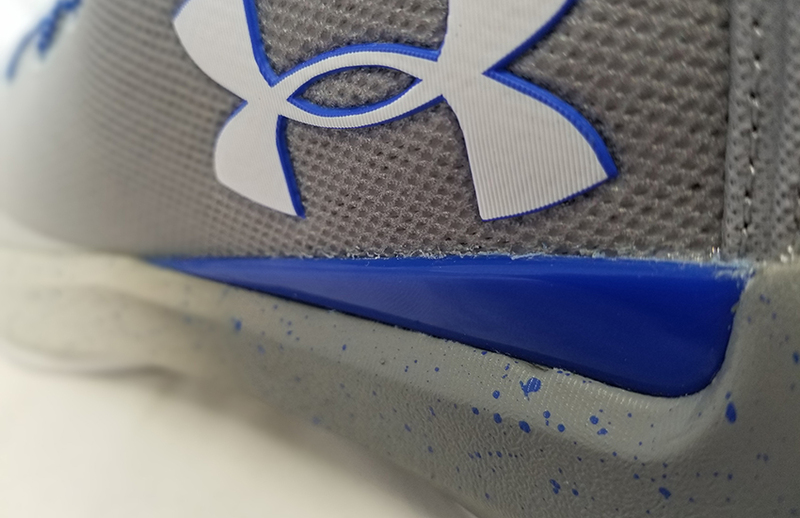 Under Armour states that the cushioning is full-length Micro G with a Charged heel crash pad while the Curry 3 is simply full length Charged. Regardless of what the cushioning is actually comprised of, the cushioning feels almost exactly the same. 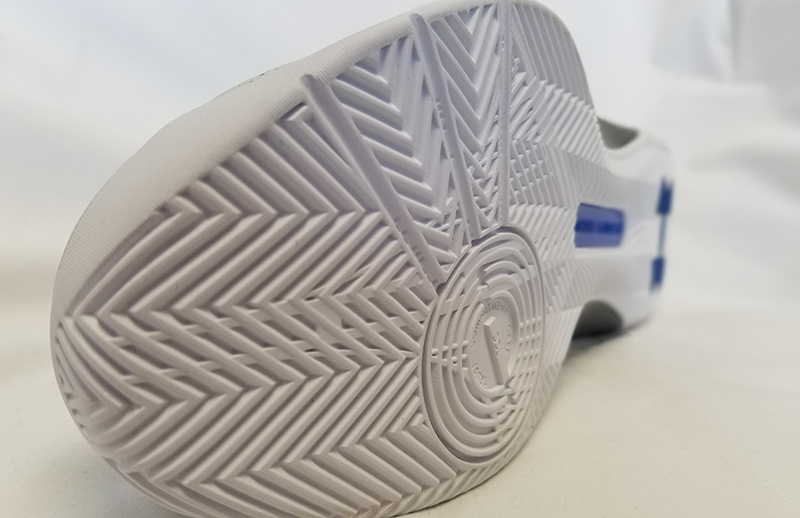 Some wearers have said it feels less cushioned, but it’s possibly due to two factors: The 3Zer0 uses a thinner Ortholite insole which gives the shoe a slightly firmer feel and the upper of the shoe is more stripped down, giving it a less padded sensation around the foot. The 3Zero is a more budget friendly team model and used reinforced mesh instead of Under Armour’s premium material, Threadborne. While not as luxurious or premium looking, the mesh upper works fine on court. Another change from the Curry 3 to the 3Zero is the removal of the padding in the ankle collar and tongue, which isn’t necessarily a bad thing. The Curry 3 was overly padded, particularly around the ankle collar, so the thinned out padding was a welcomed change. The tongue was a wide-pored mesh, which combined with the mesh upper, helped increase ventilation. The stripped-down result is a lighter, but more stiff shoe that will require a little more break-in time. The fit of the 3Zer0 is simple and straightforward, similar to the design of the shoe. No movement side to side or and heel slip from the get-go. 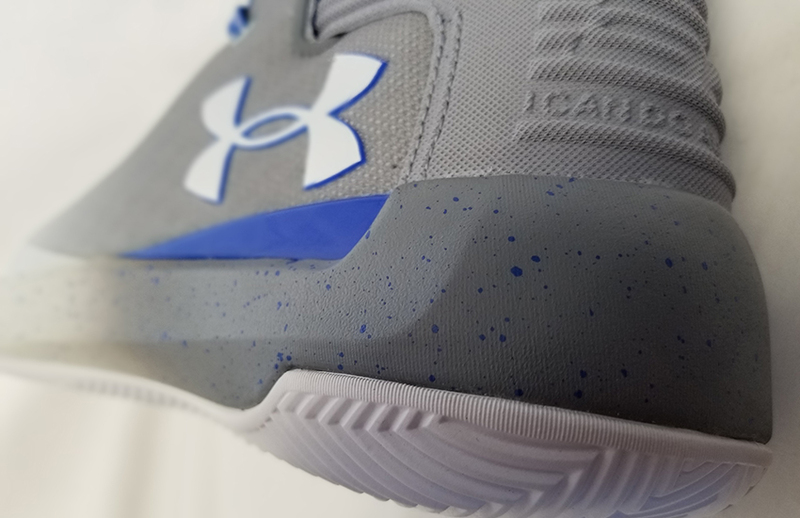 The other big change from the Curry 3 is the adjustable heel counter that UA touts in its marketing material. 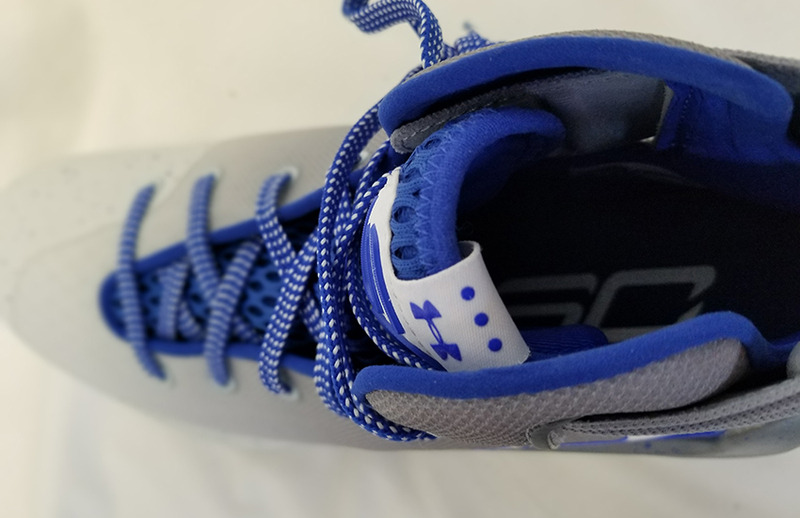 The heel counter works with the lacing system to given the ankle area more room, a boon to those who wear ankle braces (like Curry). While the system seems to work in theory, when the foot is in the shoe, there isn’t as much room for adjustments. It acts more as an extra layer of padding than an actual adjustable mechanism. As you can see in the picture, the heel strap eyelets are directly laced through the regular eyelets. You can also see that the “adjustability” is limited by the regular fixed heel counter as well. I experimented and took the straps out and felt no difference in lockdown. That aside, regardless of how the 3Zer0 is laced up, the fit is still very good. Overall there is a little bit of wiggle room length wise and more dead space above the foot than the Curry 3. I suggest going true to size for wide-footers and half a size down everyone else which is the same as I suggested with the Curry 3. The Curry signature line has always placed emphasis on support and stability, given Steph’s history of ankle injuries, and the 3Zer0 is no different in spite of the changes. Rather than the use of carbon fiber for the meta wing and midfoot shank, UA replaced it with a plastic version instead. UA also reduced the size of the huge foam heel counter found on the Curry 3. However, even with these changes, support is still excellent. Just like the Curry 3, the 3Zer0 does an excellent job with containment. Again, while some may see the changes—lack of Threadborne, the replacement of carbon fiber with plastic in the midfoot support and the stripped down heel counter—as downgrades, the end result was not affected. There was no sliding off the footbed even on the hardest cuts and the foot stayed locked in. The Curry 3Zer0 is a nice start to a new team shoe from Under Armour that will fill in the gap during the summer and early fall months before the NBA season and debut of a new signature offering. Sure it doesn’t have the latest and greatest tech specs but oftentimes great tech doesn’t translate into great performance on court. Under Armour kept what what worked with the Curry 3 and removed the superfluous parts to create the 3Zer0. 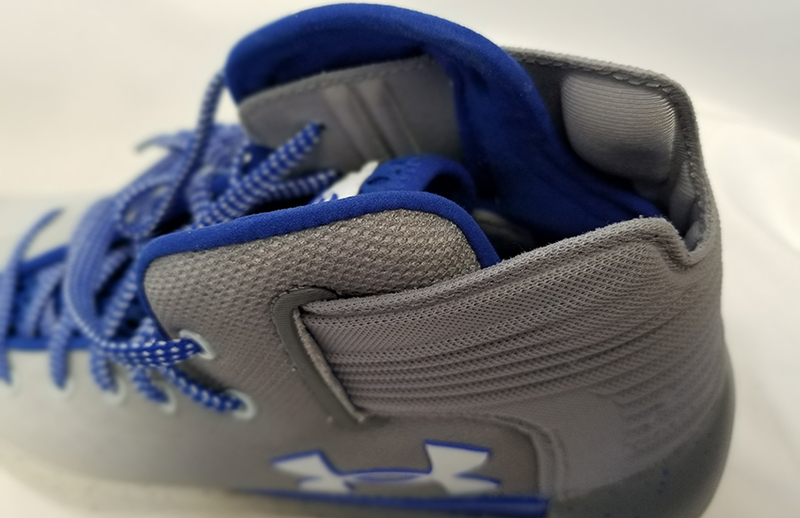 Overall, the shoe has good traction, a great fit, decent cushioning while being very stable and supportive at a retail price of $120 (at the time of publishing, UA had reduced the price to $99). Not a bad price for a shoe of a two-time MVP and NBA champion.